The University of Chicago’s Neubauer Collegium Culture for Society celebrated the opening of its newly renovated building at 5701 South Woodlawn Avenue on Monday, April 20. The building now includes small and large offices, conference rooms, spaces for public events, and a separate space for exhibitions. The Neubauer Collegium supports one- to three-year projects in which UChicago faculty work with professors from around the world in the humanities. In addition to providing a more spacious working space, Dean of Humanities and the Chauncey S. Boucher Distinguished Service Professor of Assyriology Martha Roth said that the building was reconstructed to support professors’ projects. “The new building will house the visiting fellows, provide seminar and meeting spaces, and offer state-of-the-art communication systems to enable global collaborations. There are open and flexible spaces and transparent walls. Every decision about the space was made with the goal of enhancing intellectual exchange and challenging established modes of thought,” Roth said. Elspeth Carruthers, Executive Director of the Neubauer Collegium for Culture and Society, says that the new space has enabled professors to collaborate with fellow professors worldwide. “Having a dedicated space to house the Neubauer Collegium for Culture and Society was a critical part of the vision from the start…. Very specifically, we are able now to house visiting scholars who are collaborating on projects, deepening the University’s global engagement around research questions whose scope is too broad for any single discipline to encompass,” Carruthers said in a statement. 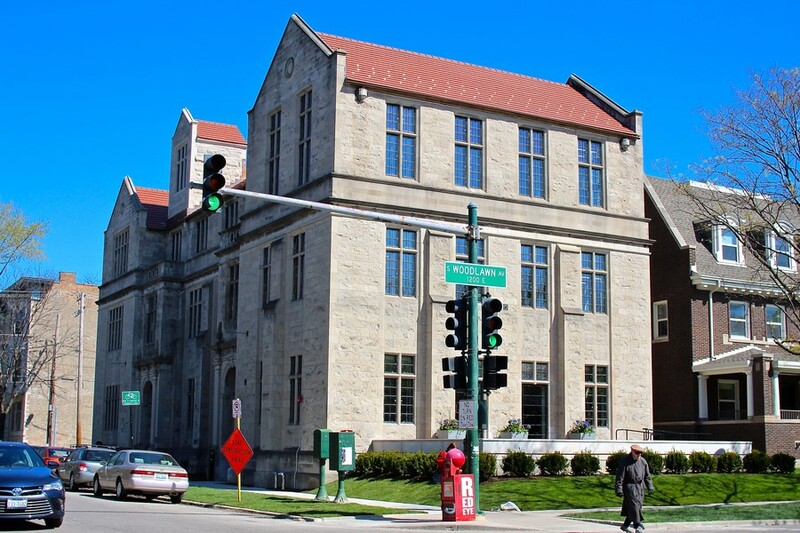 After purchasing the land in 2011, the University employed Kilment Halsband Architects to update the 1930s styled Neo-Gothic building. University Architect Steve Wiesenthal built large, transparent spaces of glass “to encourage both planned and spontaneous interactions. “The entire ground floor and much of the second floor are about welcoming people to share ideas, connecting them formally and informally,” he said. The opening ceremony featured a discussion between University of Chicago leaders and a panel discussion among Neubauer Collegium Faculty Fellows. The discussion focused on the advancement of research in the humanities department. The inaugural exhibition No Longer Art: Salvage Art Institute opened yesterday. The project was curated by Jacob Proctor and shows features a collection of salvaged art. The building is named after trustee Joseph Neubauer, M.B.A. ’65, and his wife Jeanette Lerman-Neubauer after making a $26.5 million donation to the University.